Sometimes a girl needs a home-cooked meal. And in the absence of a husband or even a knight in shining armor, basically anyone, that task often, okay always, falls to me. Last week, faced with a fridge full of cheese and a chicken breast, I had to get creative. In a not especially creative moment, I picked up some White Castello cheese at the supermarket. Castello is a brand name and its’ influence spreads around the globe. White Castello is a white blue cheese. It has the strong taste of blue, without the confronting veins. The cheese tself is a Danish White Mould full fat soft cheese. The consistency matures with keeping, becoming creamier, with a fuller, round flavor. 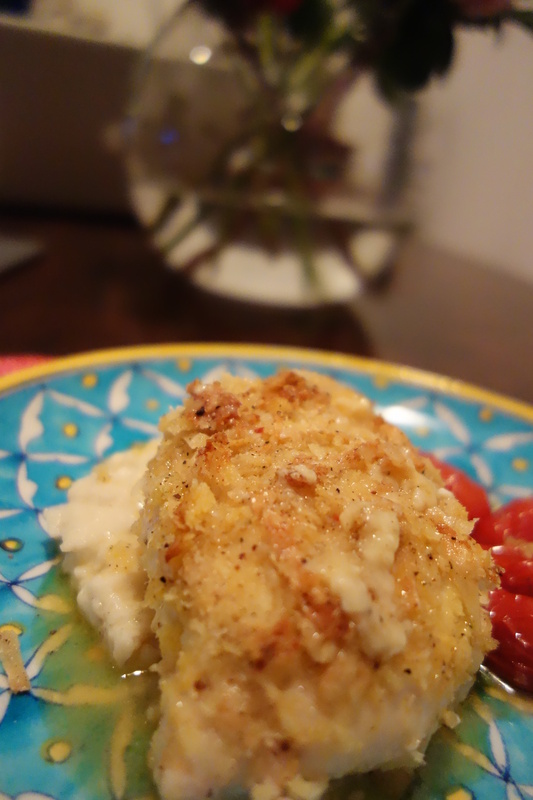 To my shame, I used this cheese cod, stuffing my lonely chicken breast with it and some garlic. 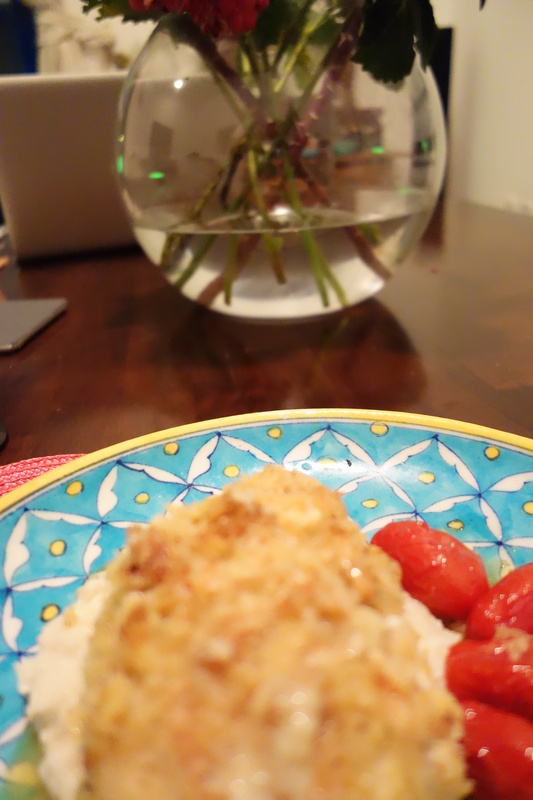 Topped with some panko breadcrumbs and a liberal helping of olive oil, it was a meal for one. White knight optional.